Thanks for visiting My North Pennines! My name is Matt O’Brien and this website is the result of my love of the North Pennines. The North Pennines is, in my opinion, a massively under appreciated area of great natural beauty. The area features the highest fells in the Pennines, including the mighty Cross Fell which has its own wind – the Helm Wind. 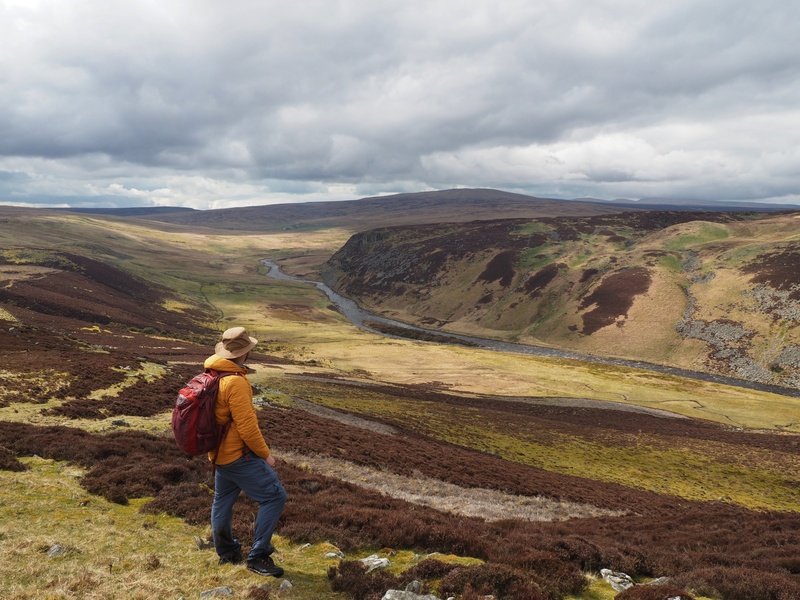 Other highlights include the spectacular valley of High Cup, the upland meadows of Teesdale, some spectacular waterfalls and the industrial landscapes of Weardale. While I was familiar with places such as Brimham Rocks and the Ingleton waterfalls from my childhood it was not until 2004, when I was thirty, that I truly ‘discovered’ the joy of walking in the Pennines. This came about when a friend at work (another Matt) invited me to join him and a couple of others in attempting the famous Yorkshire Three Peaks walk. As it happened the other two dropped out before we’d even started our first practice walk so it was left to just Matt and I. Our first walks were aimed at exploring each of the Three Peaks individually and improving our fitness levels. Those first few months of walking were characterised by foul weather but also a real sense of adventure and freedom. By the time we successfully completed the Yorkshire Three Peaks in September 2004 we had both been bitten by the bug. After a year and a half of walking in the Dales I began to branch out to the Peak District, North Pennines, Lake District and even the Cheviots. The result of all these walks was a hard drive full of photos and a lot of walking notes that formed the basis for my first website www.mypennines.co.uk. Despite the name the website effectively covered not just all the upland regions of northern England but also my infrequent trips to Scotland and Wales. As proud as I was of the original My Pennines website it was becoming too unwieldly. I was also conscious that I need to totally redesign the website to make it mobile friendly. In the end I decided to set up separate websites for the Yorkshire Dales and for the North Pennines. The first of these to be launched was My Yorkshire Dales in August 2016. Much later than planned this website was finally launched at the end of December 2018. The area covered by this website includes most of the North Pennines Area of Outstanding Natural Beauty. Some of the North Pennines AONB extends south of the A66 and includes summits such as Nine Standards Rigg which more properly belongs to the Yorkshire Dales. For that reason I’ve made the A66 the southern terminus for the region covered by this website. On the other hand I’ve decided to include Hadrian’s Wall country. It is actually part of the Northumberland National Park but is a natural terminus for the Pennine chain. On the other hand the Pennine Way itself extends all the way to the Cheviots and it may well be that at some point in the future I will add my Cheviot walks to this website too. It is my sincere hope that this website will encourage more people to get out and visit the North Pennines. With this in mind I have also included downloadable gpx files of my walk route. It is important to note that these were all created on software after the walk itself so, while they are as accurate as I can make them they are not a record of my actual footsteps. If using any of these gpx routes please do keep this in mind and use common sense when attempting to follow a route. Anybody planning on going for a walk in the North Pennines is urged to do so with a map (preferably in 1:25,000 scale for the extra detail it provides), a compass to hand and with appropriate clothing. 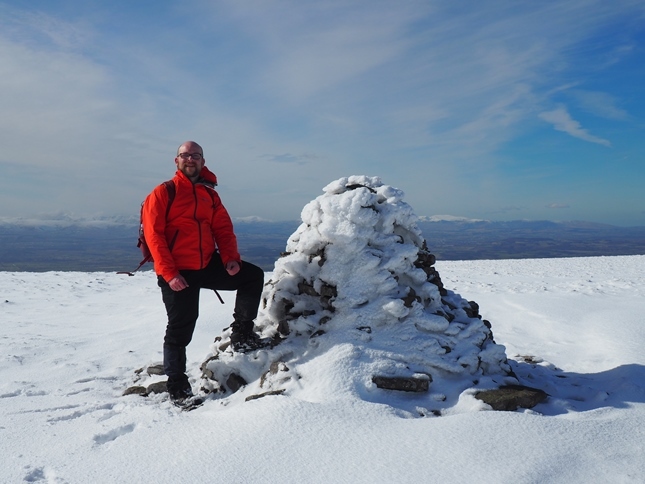 The latter is particularly important if heading on to the higher fells, especially in the winter months when the weather conditions can be brutal. It is also a good idea to leave a plan of your intended route with a loved one. All the information on this website is correct to the best of my knowledge. If you have feedback about this site, or have spotted a factual error please email at the following address mypennines@hotmail.co.uk.